Akr. 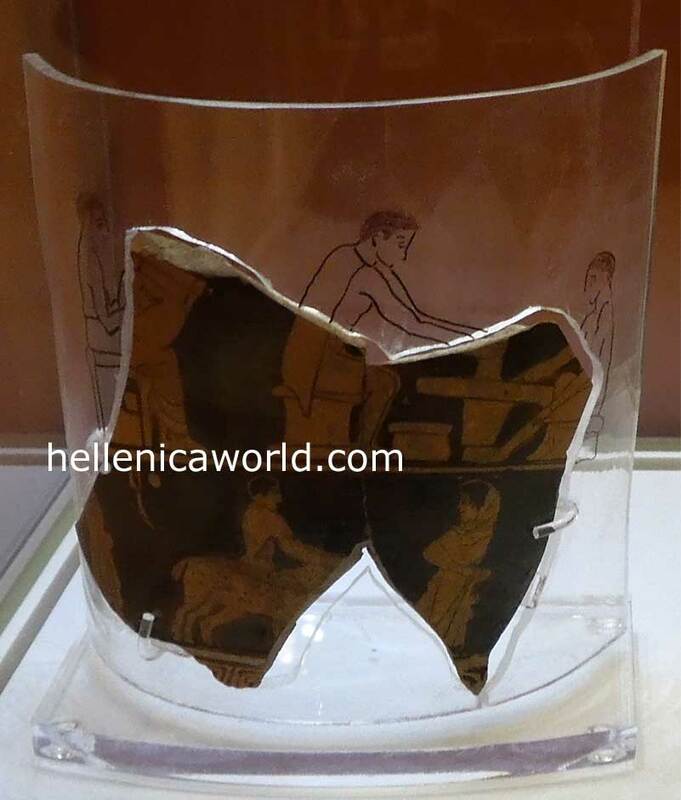 738 : Fragment of a red-figure calyx krater. Scene in a potter's workshop. From the Acropolis. By the Painter of the Louvre Centauromachy. About 440 B.C.